Medieval Archaeology. Journal of the Society for Medieval Archaeology. Indices of Volumes I - 50. 1957 - 2006. 9 volumes [of 10]. Medieval Archaeology. Journal of the Society for Medieval Archaeology. Vol. IV. 1960. Medieval Archaeology. Journal of the Society for Medieval Archaeology. Vol. V. 1961. Medieval Archaeology. Journal of the Society for Medieval Archaeology. Vol. VI-VII. 1962-3. Medieval Archaeology. Journal of the Society for Medieval Archaeology. Vol. XLIII. 1999. Medieval Archaeology. Journal of the Society for Medieval Archaeology. Vol. XLIV. 2000. Medieval Archaeology. Journal of the Society for Medieval Archaeology. Vol. XLV. 2001. Medieval Archaeology. Journal of the Society for Medieval Archaeology. Vol. XLVI. 2002. Medieval Archaeology. Journal of the Society for Medieval Archaeology. Vol. XLVII. 2003. Medieval Archaeology. Journal of the Society for Medieval Archaeology. Vol. XLVIII. 2004. Medieval Archaeology. 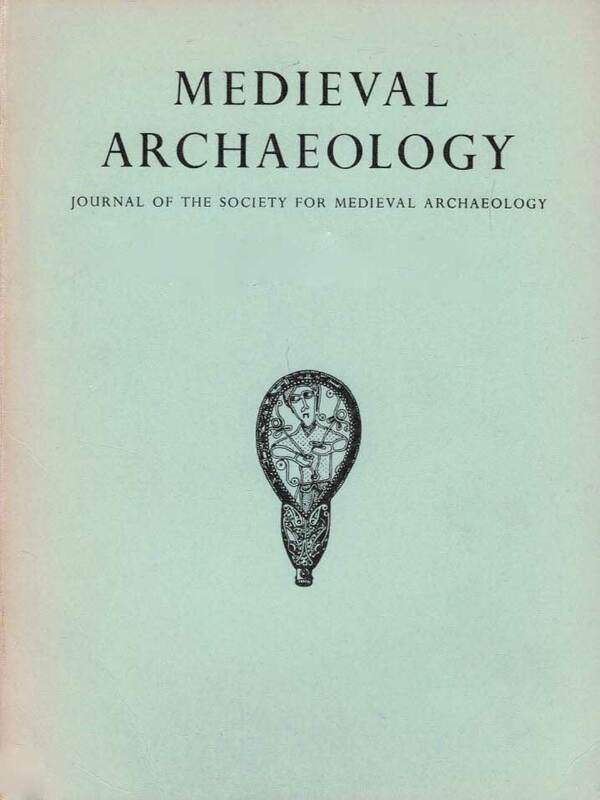 Journal of the Society for Medieval Archaeology. Vol. XXII. 1978. Medieval Archaeology. Journal of the Society for Medieval Archaeology. Vol. XXIII. 1979. Medieval Archaeology. Journal of the Society for Medieval Archaeology. Vol. XXIV. 1980. Medieval Archaeology. Journal of the Society for Medieval Archaeology. Vol. XXV. 1981. Medieval Archaeology. Journal of the Society for Medieval Archaeology. Vol. XXVI. 1982. Medieval Archaeology. Journal of the Society for Medieval Archaeology. Vol. XXVIII. 1984. Medieval Archaeology. Journal of the Society for Medieval Archaeology. Vol. XXXII. 1988. Medieval Archaeology. Journal of the Society for Medieval Archaeology. Vol. XXXIV. 1990. Medieval Archaeology. Journal of the Society for Medieval Archaeology. Vol. XXXVII. 1993. Medieval Archaeology. Journal of the Society for Medieval Archaeology. Vol. XXXVIII. 1994.